We are delighted to announce a Distinguished Lecture series by Prof. Chris Mi, IEEE Fellow and VTS Distinguished Lecturer, to be held at Queen’s University Belfast, and Cranfield University. This event is kindly organised by Dr. Aoife Foley, Queen’s University Belfast, and Dr. Dongpu Cao, Cranfield University, in conjunction with Prof. Mi. A detailed flyer for the Queen’s University Belfast event can be accessed here, and for the Cranfield event here. Abstract: This lecture focuses on wireless power transfer technology that offers significant improvement in convenience and electric safety for EV and PHEV charging. This research aims at novel designs that considerably reduce size and cost while increase coupling coefficient and system efficiency. Distributed capacitors instead of lumped components are proposed. A double sided LCC resonant converter topology for the resonant stage is adopted to further enhance system efficiency. Laboratory prototypes have been built and 22kW power transfer has been achieved over 200mm distance, 93.5% system efficiency (97% DC-DC efficiency), and alignment tolerance of up to 300mm. 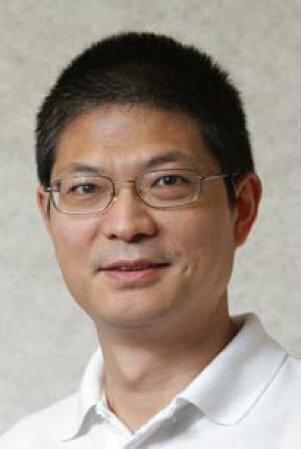 Brief Biography: Prof. Chris Mi is a Fellow of the IEEE, Professor of Electrical and Computer Engineering at the University of Michigan, Dearborn, and the Director of the US DOE funded GATE Center for Electric Drive Transportation. He received the B.S. and M.S. degrees from Northwestern Polytechnical University, Xi’an, China, and the Ph.D. degree from the University of Toronto, Canada, all in electrical engineering. His research interests are in electric and hybrid vehicles. He has given tutorials and seminars on the subject of HEVs/PHEVs for the Society of Automotive Engineers (SAE), the IEEE, workshops sponsored by the National Science Foundation (NSF), and the National Society of Professional Engineers. He has delivered courses to major automotive OEMs and suppliers (e.g. GM, Ford, Chrysler, Honda, Hyundai, Tyco Electronics, A&D Technology, Johnson Controls). He has published more than 100 articles and delivered 30 invited talks and keynote speeches. He has also served as a panellist at major IEEE and SAE conferences. Dr. Mi is one of the three Area Editors of the Editor of IEEE Transactions on Vehicular Technology, associate editor of IEEE Transactions on Power Electronics, Associate Editor of IEEE Transactions on Industry Applications, Senior Editor, IEEE Vehicular Technology Magazine, Guest Editor, International Journal of Power Electronics, Editorial Board, International Journal of Electric and Hybrid Vehicles, Editorial Board, IET Electrical Systems in Transportation, and Associate Editor of Journal of Circuits, Systems, and Computers (2007-2009).